Tugce Ergul is a co-founder at Angel Labs, the world’s first investor accelerator with a strong focus on diversity & inclusion. Before founding Angel Labs, she worked as a Managing Director at Startup Labs where she managed over 30 successful digital investments. AL operates in 45 countries and exists to supercharge investor communities and empower high-net-worth individuals, family offices & executives worldwide. Tugce started her career as an investment banker and was working at Young Turk Ventures, a leading Turkish VC fund, before joining Startup Labs. She received her undergraduate degree in Finance from Sorbonne University with honors, and holds a master’s degree in International Management from Bocconi. 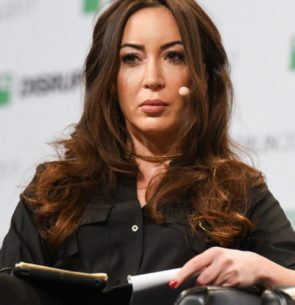 Tugce is an active member of the European VC network and regularly speaks at events around the world regarding entrepreneurship, economic development and technology. She is fluent in English, French, Turkish, Azeri, Spanish, Italian and speaks some Portuguese. Tugce’s work has been featured in many publications such as USA Today, Forbes, and The Guardian.